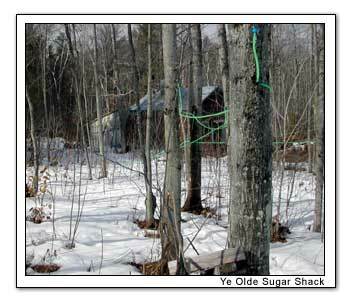 If you've been through New England you may have seen a syrup making shack without even realizing it. Typically they have at least one good sized smoke stack for the wood stove and another exhaust pipe for the steam to escape. A telltale sign will be piles and piles of split wood, much more wood than a small building would seem to ever require even for the harshest of winters. They need it though, every bit of it.